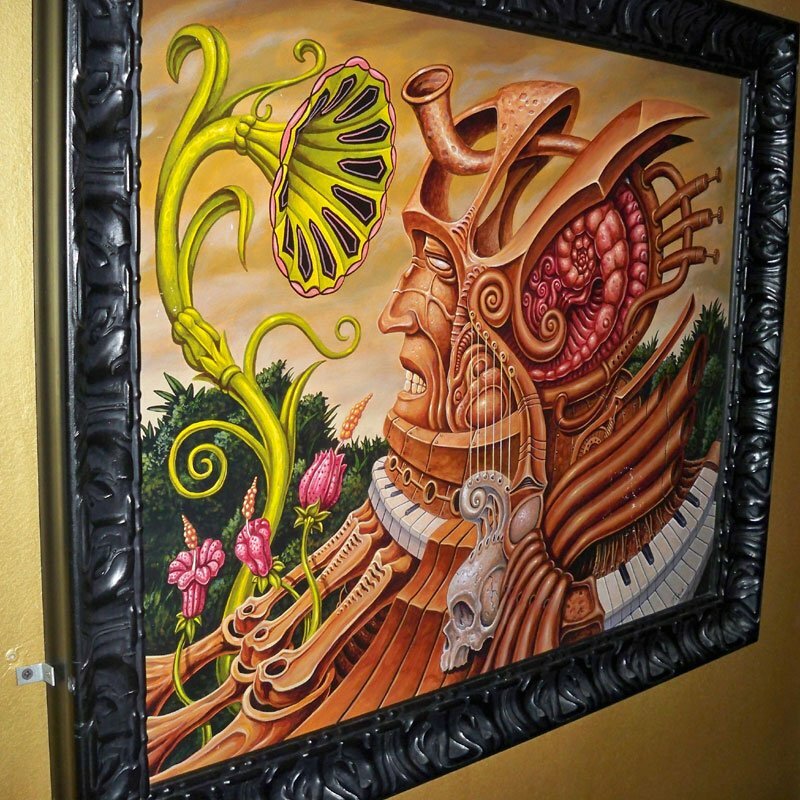 This is the first in a series of profiles of some of The Atomic Grog’s favorite spots in South Florida to enjoy events, music, art, cocktails and culture. Our first stop is an eclectic restaurant that for more than a decade has seamlessly merged all of the aforementioned elements in a cool historic setting along with some great food from an award-winning chef. It’s difficult to find a truly unique restaurant experience in this age of cookie-cutter chain eateries and independents that feel the need to follow every trend. But tucked into a vintage 1920s house just off Atlantic Avenue in Delray Beach is Dada, a one-of-a-kind experience that’s a true feast for all the senses. Built in 1924, with the second story added 1939, the Tarrimore house was restored around 1990 with plans for it to become a bed and breakfast. But when that fell through, it became a cozy restaurant (the acclaimed Damiano’s) in 1992. 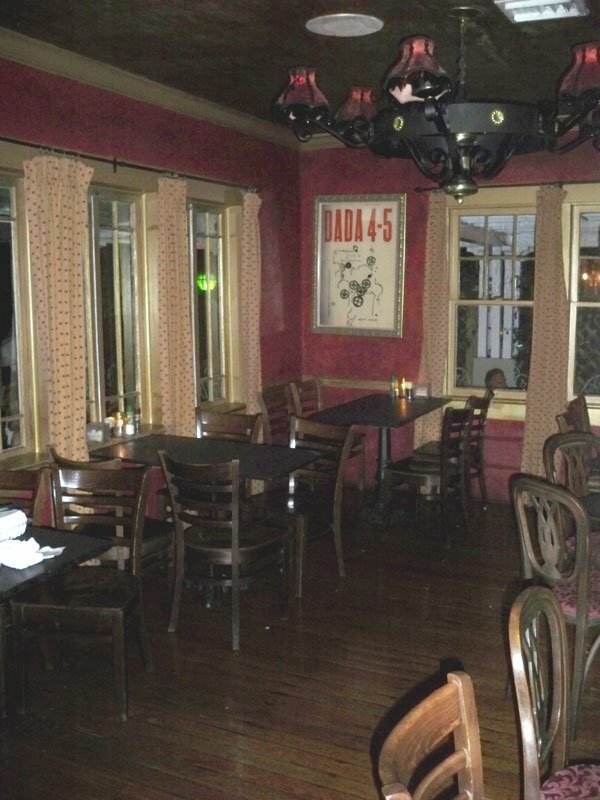 The Damiano family sold the restaurant in 1999 and Dada opened in 2000. Dada is perhaps the most distinctive and successful restaurant to spring from the partnership of owners Rodney Mayo and Scott Frielich. Their South Florida ventures include Kapow! Noodle Bar in Boca Raton, Howley’s diner in West Palm Beach, and the Dubliner Irish pub in Boca Raton. A new Dubliner is set to open in Fort Lauderdale in March. Mayo also has a hand in Tryst in Delray Beach, Longboards and Hullabaloo in West Palm Beach, plus nightspots such as Respectable Street in West Palm Beach and The Vagabond in Miami. There are 14 ventures in total that you can find on his Sub-Culture website. At Dada, Mayo and Frielich wisely partnered with an imaginative chef, Bruce Feingold. Open from 5 p.m. to 2 a.m., seven nights a week, Dada offers Feingold’s “new American” cuisine that draws rave reviews from critics and foodies alike. But there’s more to Dada than Feingold’s delicious Butternut Squash Ravioli and Habanero Maple Glazed Salmon. True to its name (Dadaism was an anti-establishment, anti-art movement in early 20th century Europe), Dada is avant-garde in every way. 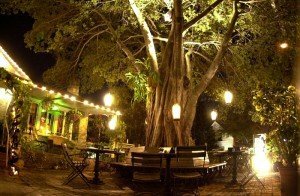 The historic building was completely remodeled in 2000 yet it retains its 1920s character with a white picket fence and 100-year-old trees, including a massive banyan with built-in seating. 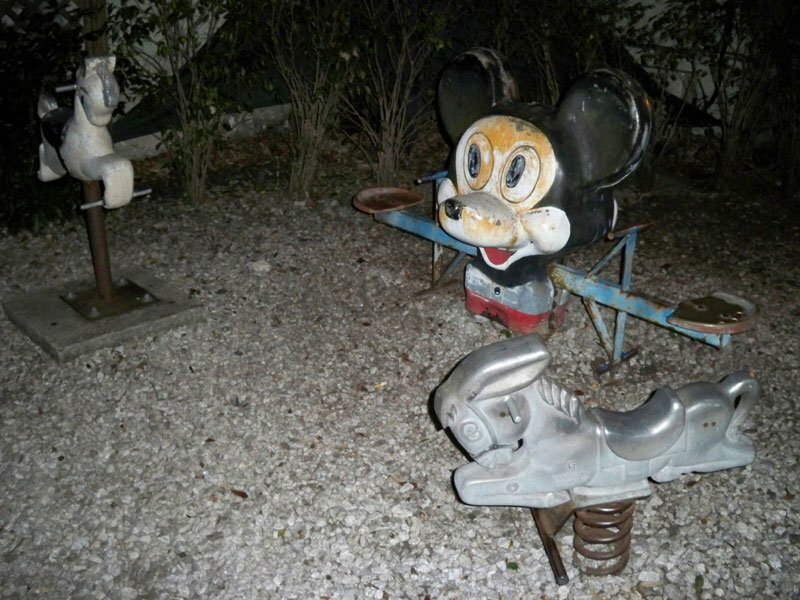 Diners sit throughout the brick-paved front yard on funky tables and chairs amid beautiful greenery and Dada-esque pieces of art, including a surreal playground. The dark and cozy ambience is enhanced with torches and string lighting. 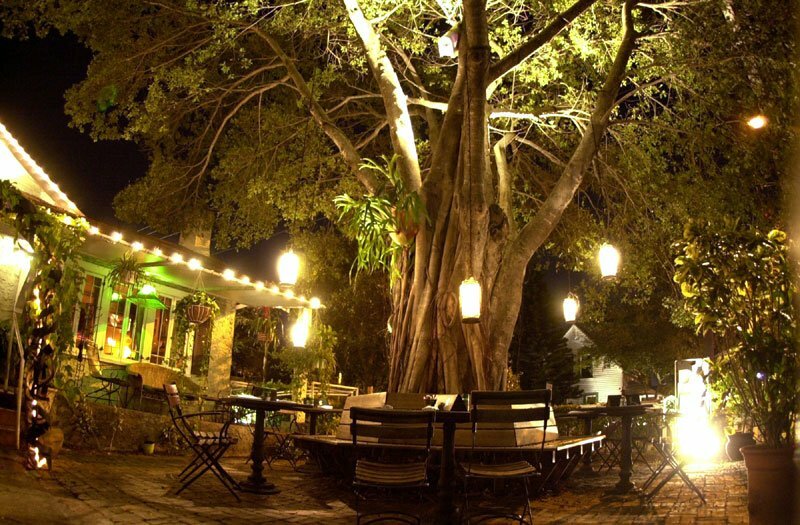 On cool and pleasant nights, this is a great spot to have a meal or just hang out. There’s also seating on the house’s open, wrap-around porch, which leads you to the entrance through the old front door. It’s like walking into a surreal house party. There are four separate dining rooms, each decorated in a different theme, and a vintage wooden bar serving some of the best mojitos in South Florida. 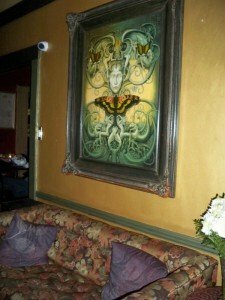 The walls are covered with murals and framed paintings by local artists such as Pooch, and the interior features wood floors and detailed woodwork throughout. There’s lots of eye candy to accompany the tasty dishes and wide-ranging music. It’s tight and cozy and can definitely get crowded quickly, but typically not to the point of being uncomfortable. Here’s a tip: If the unisex bathroom near the bar has a line, try the one in the back dining room. Not many people know it’s there. I’ve been dining at Dada since it opened and have rarely been disappointed. Feingold’s take on American classics and modern dishes features fresh fish, all-natural beef and hand-picked produce. 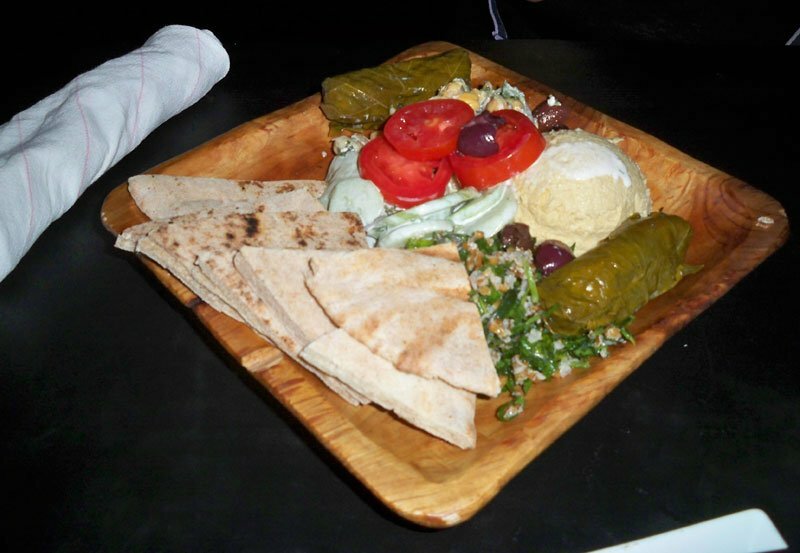 It’s consistently highly rated in the Zagat Dining Guide for good reason. When you consider that Feingold’s kitchen takes up only a small area of the house not much larger than the original kitchen (his office is upstairs), it’s amazing what comes out of there. There’s no deep fryer, so don’t even ask for french fries. Feingold and his small team of chefs are always working on new dishes, which are added seasonally. A New Jersey native, Feingold is a graduate of the Culinary Institute of America in Hyde Park, N.Y., and has been cooking professionally for more than 20 years. Dada has given him the platform to really shine, and his evolving menu reflects a chef at the top of his game. This weekend, he’s competing for top chef honors at the Delray Beach Garlic Fest, where he’s the reigning dessert champion. The main courses are innovative and feature everything from homey items such as chicken, steak, short ribs, pork chops and meatloaf, to more eclectic offerings such as Sunray Venus Clams, a species native to Florida’s Pine Island Sound on the Gulf Coast. Be sure to bring an appetite because Dada’s appetizers and desserts are not to be missed. Because the full menu is offered until 2 a.m., Dada is the perfect spot for a late-night bite. And long before tapas-style small plates became trendy, this has been the go-to place to sample cutting-edge dishes without busting your budget. 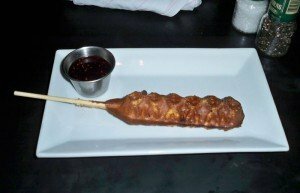 On a recent visit, I tried the decadent Pork Belly Waffle Dog (candied pork belly with spiced raspberry maple syrup) and Mrs. Hurricane enjoyed the Mediterranean Plate (chick pea salad, cucumber salad, hummus, tabbouleh, grape leaves, warm pita). The appetizer menu also includes soups, salads, fondue, bacon-wrapped dates, grilled brie, tuna tartare, lamb ribs, and Feingold’s always popular crab cake (also served as an entree). Feingold owned his own bakery before Dada, and his desserts reflect this passion. Some fans come to Dada just for the S’mores or Warm Banana Bread. It should also be noted that the staff shares the chef’s passion for their job. While reviews are sometimes mixed, the staff is professional and knowledgeable despite their edgy appearance. The dressed-down, tattoos-and-piercings look blends perfectly with the anything goes atmosphere at Dada. That also means a very relaxed dress code for patrons. It may put off the stuffed-shirt crowd, but that leaves more open tables for the growing legion of Dada loyalists. Dada attracts a wide range of hip locals, not just for the food but also a busy little bar scene. Like the kitchen, the bar area is small, but the staff takes pride in its menu of 18 signature mojitos, all made with freshly muddled mint and lime, sweetened with homemade simple syrup, and garnished with a Hawaiian sugar cane stick. I’m partial to the Classic (Conch Republic silver rum with a splash of soda) but I’ve also enjoyed a few of the fruit flavors, which include mango, blackberry, blueberry, passion fruit, orange, and lemon. The mojitos feature not only rum (various Cruzan and Malibu flavors) but also a nice selection of vodkas. Gingers Have More Fun (Skyy Ginger vodka, sliced fresh ginger, splash of ginger ale) was a hit with Mrs. Hurricane, though the Cucumber Titojito (Tito’s vodka, fresh muddled cucumbers, cucumber liqueur) didn’t quite pack the same flavor punch as other cucumber drinks we’ve tried lately. The mojito menu offers the opportunity for lots of exploration, though beware that these go down fast and easy at around $10 a pop. The bar offers a fine selection of wines, beers, and other cocktails to whet your whistle. There’s also much to be said about Dada beyond the ambience, artwork, food and drinks. Live bands take over the front dining room after normal dinner hours on weekends and other select nights. I’m partial to the authentic surf sounds of Skinny Jimmy & the Stingrays, who perform on the second Saturday of every month (including tonight, Feb. 9). Other bands scheduled for this month include the touring folk/Americana trio Paleface (Friday, Feb. 15), local indie band Raggy Monster (Friday, Feb. 22), plus guitarists Jeff Lloyd and Mike Garulli of nationally known Fort Lauderdale jam band Heavy Pets performing as a duo on select Wednesdays. Like everything else, live music at Dada is a unique experience. 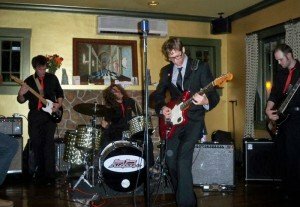 Late diners may not appreciate the noise, and the sightlines aren’t great with the band set up on the floor, but it makes for an intimate show, like having a band play in your living room. No PA is necessary for the bands to get a great room sound and the accompanying decor, food and drinks make for a great combination. The calendar also features regular non-musical events. The long-running Poetry Slam is held on the first Tuesday of every month, with the other Tuesdays dedicated to open mic nights. Dada has hosted many special events over the years, from charity dinners to a tattooed beauty pageant. It’s a cliche, but Dada truly offers something for everyone and can be enjoyed on many levels. Go for the food, the drinks or the music. There’s always a jazzy but laid-back vibe. Imagine yourself at a secret house party with you hippest friends, freshly made cocktails, eclectic music and a great chef. Dada makes that happen. UPDATE: Chef Bruce Feingold was crowned the Delray Beach Garlic Fest’s chef competition champion on Sunday, Feb. 10. Congratulations! Location: 52 N. Swinton Ave., Delray Beach, Fla. [Map, directions] Valet parking available. Street spaces are limited, but there’s a large city lot behind the restaurant to the southwest, just off Northwest First and Atlantic avenues. Call (561) 330-3232. Reservations recommended on busy nights. 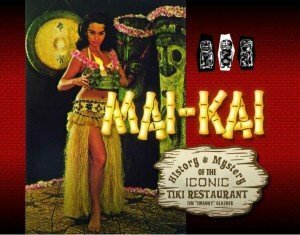 This entry was posted in Art, Cocktails, Culture, History, Music, Restaurants, Reviews and tagged Dada, mojito, Rodney Mayo, Skinny Jimmy Stingray. Bookmark the permalink.